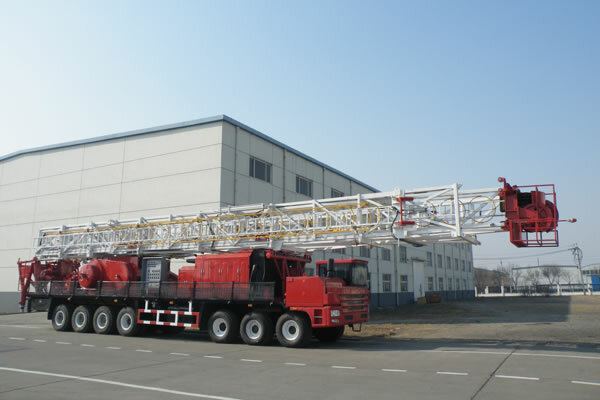 ZJ30/1800CZ truck mounted drill machine is a type of light truck mounted drilling rig self-developed by our company. It adopts double engine parallel power system. Gear parallel can achieve the power shift between vehicle driving and drilling operation, between single engine working and double engine working. Through years of technology innovation and continuous improvement, it has become more mature and reliable. This hydraulic drilling rig is suitable for drilling operation of middle and shallow wells which is less than 3000m, heavy repair operations of oil and gas wells and water well drilling operations. Adopting a number of patented technologies, the rig now is with the features of reasonable layout, reliable operation performance and low transportation cost, easy for on-site installation and maintenance. 3. Truck mounted hydraulic rig is equipped with ALLISON hydraulic transmission box. 4. 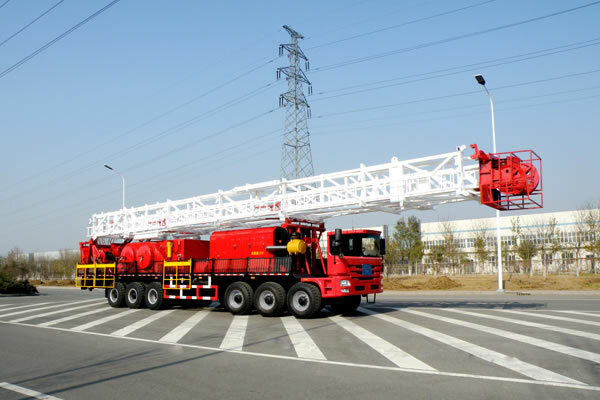 Equipped with 14×8 petroleum-purposed vehicle chassis, hydraulic drilling rig has good cross-country ability.